Chrysler revolutionized the minivan market with the Dodge Caravan in the 1980s, and it did it again by introducing the new Chrysler Pacifica in 2017. 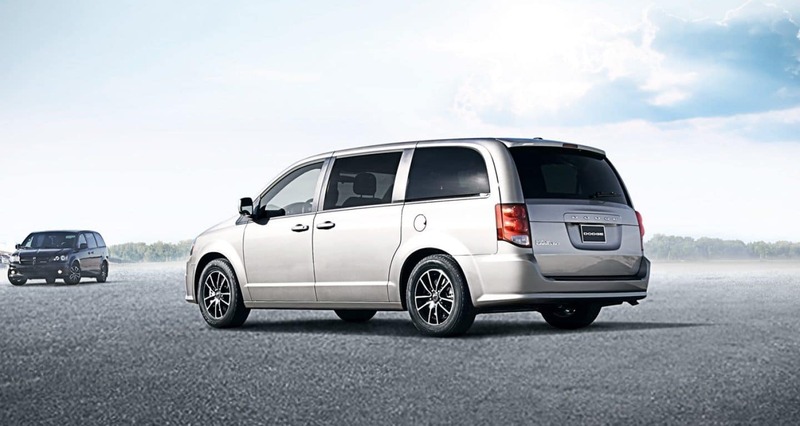 Despite offering this sleek and swoopy minivan, Dodge continues to offer the 2019 Grand Caravan in limited numbers. Which of these models are the better buy for large families in the Saginaw, Michigan area? Continue reading to find out. 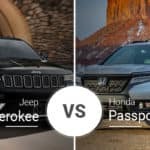 In terms of appearance, despite their shared parent company, the 2019 Dodge Grand Caravan and the 2019 Chrysler Pacifica couldn’t look more different. The Grand Caravan’s look last went through a rework way back in 2011, which gives it a dated appearance that can’t hang with the Pacifica’s modern take on the minivan shape. 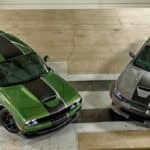 Despite having little shared DNA — other than both being FCA-built vehicles — the 2019 Dodge Grand Caravan and 2019 Chrysler Pacifica have very similar sizes. The Grand Caravan measures 203.7 inches long, 78.7 inches wide, and 69 inches tall. The 2019 Pacifica os 0.1 inches longer, 0.9 inches wider, and 0.9 inches taller. Even their wheelbases are similar as the Grand Caravan rides on a 121.2-inch wheelbase, while the Pacifica’s wheelbase is 121.6 inches long. Neither of these vans has a big advantage in cargo-loading ease, as the Caravan has a 24-inch liftover height and the Pacifica has a 24.3-inch liftover height. Just like their exteriors, these minivans’ interiors may make you believe they are adopted siblings. 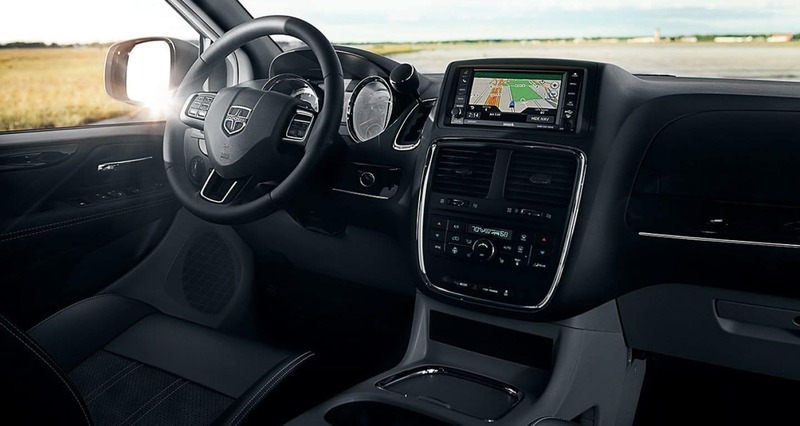 The 2019 Dodge Grand Caravan’s interior is functional with all its storage cubbies and such, but it is dated and has tons of hard plastics all over the key touch points. The Pacifica, however, continues its minivan revolution inside where there is soft-touch material everywhere, plenty of shapes and contrast, and all the latest in tech. 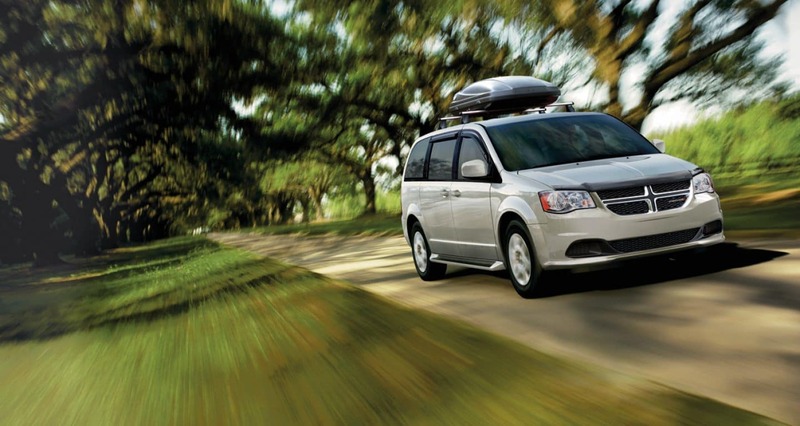 Minivans are made for big families that need three rows of seating and plenty of cargo room. 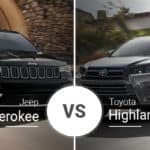 The 2019 Grand Caravan and the 2019 Chrysler Pacifica deliver the goods in these departments. Up front, the Grand Caravan offers 39.8 inches of headroom, 40.7 inches of legroom, 63.7 inches of shoulder room, and 58.4 inches of hip room. The Pacifica beats these measurements by 0.3 inches, 0.4 inches, 0.1 inches, and 0.6 inches, respectively. In the rear, the Grand Caravan’s measurements vary depending on whether it has a second-row bench or a set of captain’s chairs. With the bench, the second row has 37 inches of headroom, 37.1 inches of legroom, 64.7 inches of shoulder room, and 64.8 inches of hip room. The captain’s chairs put it at 39.3 inches of headroom, 36.5 inches of legroom, 64.1 inches of shoulder room, and 65 inches of hip room. The Pacifica’s second row offers 0.3 to 2.6 extra inches of headroom and 1.9 to 2.5 extra inches of legroom, but its shoulder room and hip room are tighter by 1.1 to 1.7 inches and up to 0.2 inches, respectively. In the third row, the Pacifica checks in with 38.7 inches of headroom, 36.5 inches of legroom, 61.2 inches of shoulder room, and 49.5 inches of hip room. If you need to maximize third-row room in the Grand Caravan, opt for the second-row bench seats as this format allows for the most room in the third row with 37.9 inches of headroom, 37.7 inches of legroom, 62 inches of shoulder room, and 48.7 inches of hip room, besting the Pacifica in legroom and shoulder room. With the second-row captain’s chairs, the Caravan’s third-row legroom shrinks dramatically to 32.7 inches. Cargo room is a huge deciding factor for minivan buyers, and the Grand Caravan offers plenty of space with 31.1 cubic feet with all three rows of seats upright, 78.9 cubes with third row folded, and 140.3 cubes with second and third rows folded. The Pacifica beats the Grand Caravan in every measurement with 32.3 cubic feet with all the seats upright, 87.5 cubes with third row folded, and 140.5 cubes with all rows folded. 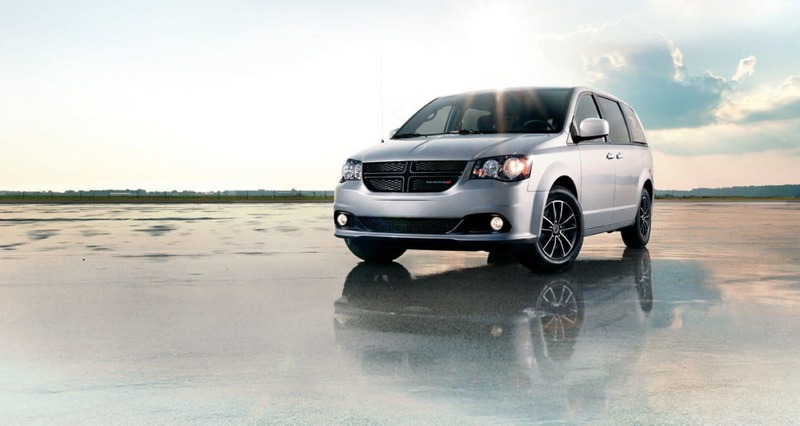 Despite its age, the Dodge Grand Caravan remains one of the most powerful minivans on the market with its 3.6-liter V-6 engine that cranks out 283 horsepower and 260 pound-feet of torque. 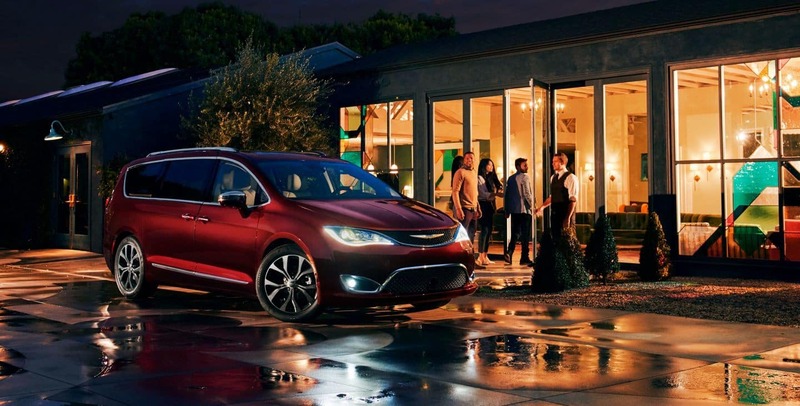 But one minivan it cannot overpower is its cross-showroom rival, the 2019 Pacifica. Thie Chrysler also boasts a 3.6-liter V-6, but its power is set at 287 horses and 262 pound-feet. These vans’ standard transmissions put a large gap between them, as the Grand Caravan uses an older six-speed automatic unit, while the Pacifica uses a modern nine-speed unit. Fuel economy is another big divide as the Pacifica gets up to 19 mpg city, 28 highway, and 22 combined to the Grand Caravan’s 17 mpg city, 25 highway, and 20 combined. Both vehicles can tow up to 3,600 pounds. The 2019 Dodge Grand Caravan has a limited lineup that includes just three trims: SE, SE Plus, and SXT. Starting prices for these trims range from $26,650 to $32,150. 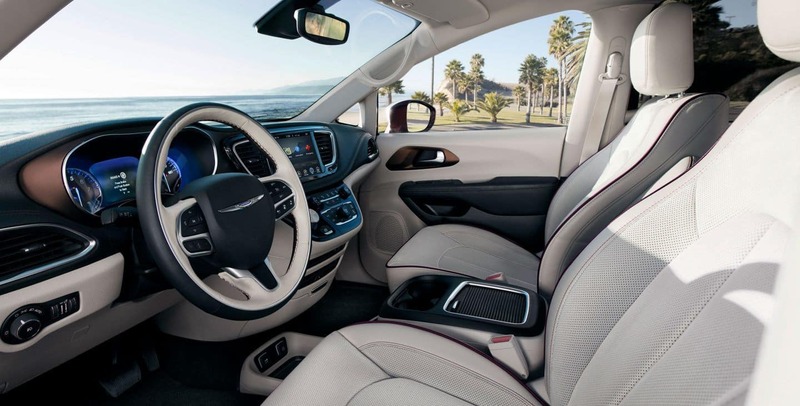 The 2019 Chrysler Pacifica has a wider range of trims, giving buyers more options. These trims include L, LX, Touring Plus, Touring L, Touring L Plus, and Limited. 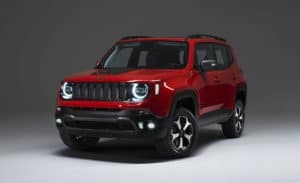 Starting prices range from $26,995 to $44,445. Who Should Buy the 2019 Dodge Grand Caravan? 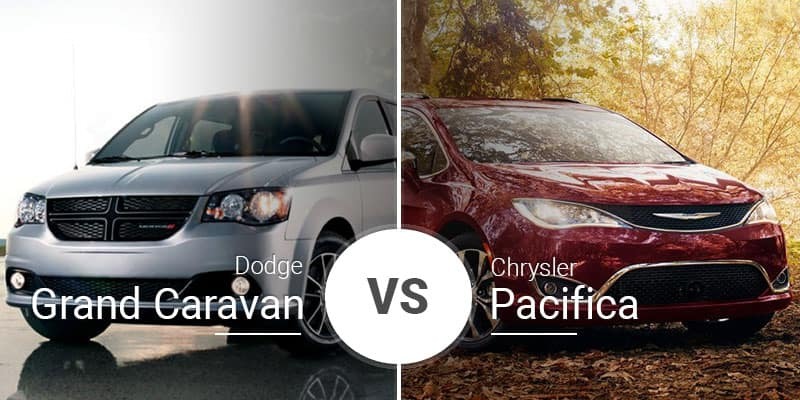 The Caravan is no match for the Pacifica when shopping for a family, but businesses that frequently beat up vehicles may find the Grand Caravan’s hard plastics more forgiving than the Pacifica’s soft materials. 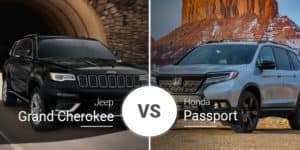 Who Should Buy the 2019 Chrysler Pacifica? 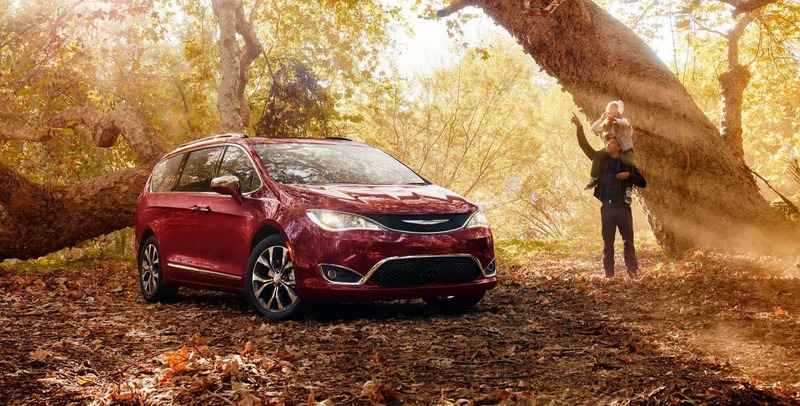 Hands down, the Chrysler Pacifica is the minivan to buy for your family. This not only rings true when comparing it to the Grand Caravan, but it is true of all minivans. Not yet sure which of these minivans is best for propelling you through the streets of Saginaw, Frankenmuth, Midland, or Bay City? 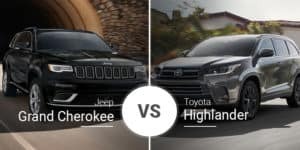 Fortunately, you can test drive them both here at Garber Chrysler Dodge Jeep RAM serving the Saginaw, Michigan area. Can’t make it to our new-car showroom today? 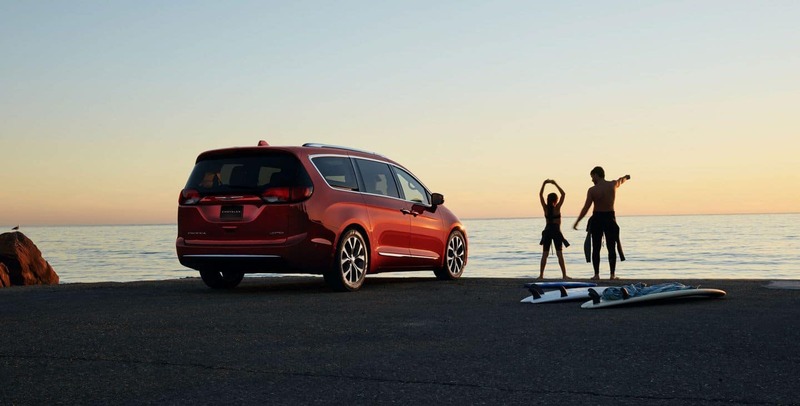 Don’t fret, you can check out our online inventory to make sure we have a 2019 Grand Caravan or 2019 Pacifica that meets your needs.